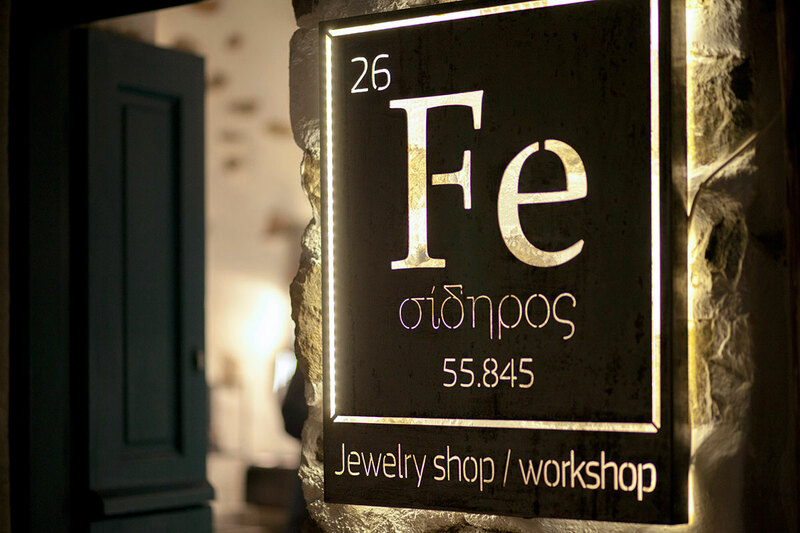 Fe jewelry shop/workshop was established by Nora Jo and Angelos Papadopoulos in 2017, in Serifos Island. It is located in a modern small space at the entrance of Ano Chora, in Cyclopon Srt. Our name represents the symbol used for the chemical element of the Iron and it was inspired from the fact that Serifos is also known as the “Iron Island” due to its extensive iron ore deposits. At Fe you will find a mixture of classic and contemporary, silver and gold, handmade jewelry that have been created by distinguished Greek designers, as well as the shop’s own brand “Nora Jo”. The constantly evolving collection consists of an inspiring selection of jewelry conceived and made by individual designers, making each piece unique.